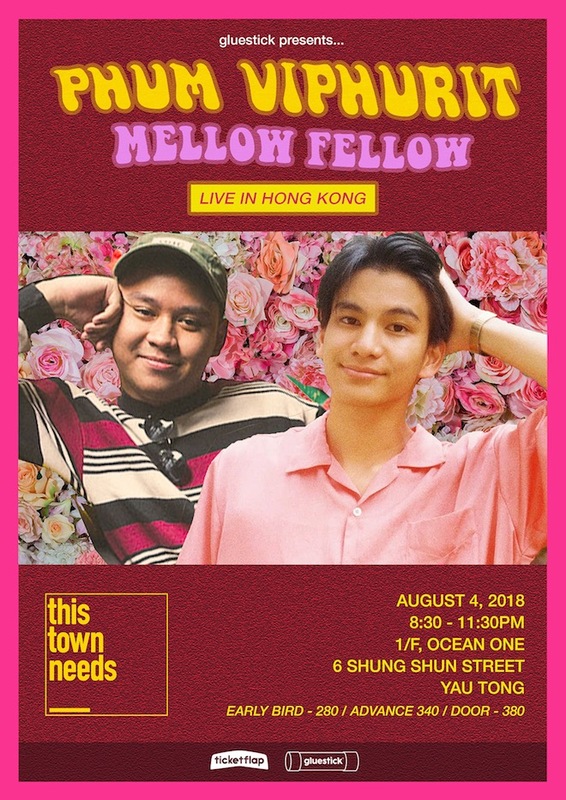 We are excited to announce that Phum Viphurit and Mellow Fellow will be co-headlining their first-ever Hong Kong show this August. Both artists will perform with their full bands, so it's going to be a fun one! Phum Viphurit is a New Zealand-raised, Thailand-based artist best known for his songs "Lover Boy" and "Long Gone." He is known for his mellow, funky and soulful approach to alternative indie folk music. 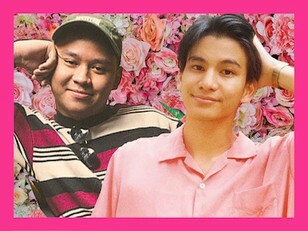 The video for "Lover Boy" has gotten nearly 6 million views in just three months, establishing Phum as one of the most exciting up and coming indie acts not just in Asia, but internationally. Recently, 88Rising spotlighted him in their "Hidden Gems" series as one of their favorite new artists from Thailand. Mellow Fellow is one of the leading artists of the "bedroom pop" wave. Based in the Philippines, his nostalgic sound is described as jazz-infused dream pop. Mellow Fellow's song "Dancing" has accumulated over a million streams on both YouTube and Spotify. He has collaborated with Clairo (who is one of the most popular figures of the DIY pop scene) on the song "How Was Your Day?" Gluestick is a events, talent and promotions agency aiming to bring the best of music and Internet culture to Hong Kong. Our main focus is contemporary hip-hop/rap and R&B, but we also shine the spotlight on other buzzworthy genres like electronic, indie and alternative acts. We hope to bring some cool stuff to Hong Kong's music scene and culture.